The Fund invests in small-sized U.S. companies with significant growth potential. Investments include fallen angels with strong long-term franchises that have disappointed investors, and special situations where lack of investor awareness creates opportunities. Diversified. Baron Small Cap Fund Named Among Morningstar Fund Investor's "Favorite Small-Growth Funds"
The Overall Morningstar Rating for a fund is derived from a weighted-average of the performance figures associated with its three-, five- and (if applicable) ten-year ratings. For the period ended 12/31/2018 the Baron Small Cap Fund was awarded 3-star Morningstar Rating for the 3-year and 3-star for the 5-year. Morningstar 3-year star rating is based on risk adjusted returns with 583 funds in category; and 5-year star rating is based on risk adjusted returns with 516 funds in category. Performance for the Institutional Shares prior to 5/29/2009, is based on the performance of the Retail Shares, which have a distribution fee. The Institutional Shares do not have a distribution fee. If the annual returns prior to 5/29/2009, did not reflect this fee, the returns would be higher. Except for Standard Deviation and Sharpe Ratio, the performance based-characteristics above were calculated relative to the Baron Small Cap Fund's(BSFIX) benchmark (Russell 2000 Growth Index). Performance statistics for additional periods will be provided on request. Source FactSet: SPAR. TransDigm Group, Inc. (TDG), through its subsidiaries, designs, produces, and supplies engineered aerospace components for commercial and military aircraft customers in the United States. TransDigm's parts are custom designed at the preproduction stage and are specifically approved by the Federal Aviation Administration and aircraft manufacturers. It is typically the sole supplier of 75% of the parts that it manufactures. While the company earns a modest return on original equipment parts, it earns large margins on after-market replacement parts on airframes that stay in service for decades, creating recurring cash flow used for acquisitions and shareholder dividends. Waste Connections, Inc. (WCN) is an integrated solid- waste services company that provides solid-waste collection, transfer, disposal, and recycling services in mostly secondary markets in western and southern areas of the United States and Canada. Due to high barriers to entry in the solid-waste industry and the company’s avoidance of competitive urban markets, Waste Connections has been able to establish a monopoly in the majority of the areas in which it operates. More than half of its revenue comes from these long-term, exclusive agreements. The company has achieved best-in-class organic growth in its existing markets, along with leading margins. The acquisition of Progressive Waste brings new growth opportunities and significant synergies, in our view. The Trade Desk (TTD) is a software company that enables advertising agencies to purchase advertising more efficiently and effectively. It provides the leading self-serve platform to enable data-driven digital advertising. The Trade Desk benefits from a visionary founder and CEO Jeff Green, who has built a unique culture of excellence and customer focus, in our view. As advertising becomes increasingly more digital and automated, we expect The Trade Desk to remain the key vendor to ad agencies engaged in such efforts. We estimate the company has 10% market share in programmatic ad buying, which uses software to purchase digital advertising. Programmatic buying today represents only $10 billion out of $640 billion in global advertising. ASGN Incorporated (ASGN) is the second largest staffing firm in the U.S., providing in-demand skilled professionals. 85% of revenues are in the technology and digital/creative verticals, with the balance in life sciences. ASGN participates in segments of the professional staffing industry (scientific, IT/engineering, advertising, digital, creative, and marketing) that are experiencing robust secular growth. Focus on the non-commoditized high end of the market should allow the company to maintain industry-high organic growth rates and gross margins. We think it should benefit from increased U.S. outsourcing penetration and the shortage of skilled workers in its verticals as well. Its business model is characterized by robust operating margins and substantial free cash flow generation. SBA Communications Corp. (SBAC) is the third largest independent owner of wireless towers in the U.S. and has a growing presence in Canada, Central America, and Brazil. SBA owns and operates over 25,000 towers in total. Consumers continue to adopt smartphones and use increasing amounts of wireless data bandwidth, forcing carriers to augment their networks. To increase network density, carriers lease space for equipment on existing and new towers. We think SBA can generate additional revenue from new lease and amendment activity, leading to strong cash flow growth. Given its strong balance sheet, we believe SBA has many opportunities to grow internationally, particularly in Brazil, where SBA has acquired over 5,000 towers. IDEXX Laboratories, Inc. (IDXX) is the leading provider of diagnostics to the veterinary industry. IDEXX has continued to benefit from secular growth spending on pets, due to a growing human-animal bond, favorable demographics, increased use of diagnostics, and enhanced focus on preventative care. We think IDEXX has the best menu of diagnostics, which it has continuously improved by spending six times more on R&D annually than all its competitors combined. The company's products are sold via a razor/razorblade model, which creates high retention rates and incremental margins. IDEXX generates strong cash flow, which it has returned to shareholders via repurchases. Bright Horizons Family Solutions, Inc. (BFAM) is the leading provider of high-quality, corporate-sponsored child care in the U.S., U.K., and other countries. It provides child care and early education services under multi-year contracts in both its own centers and in sponsor-owned centers. We think Bright Horizons has an attractive business model, characterized by high revenue and earnings visibility, low capital intensity, superior ROI, and solid cash flows. We think the company should benefit from increases in dual-income families and women in the workplace. Growth avenues include additional centers and backup services for new and existing clients, accretive acquisition or assumption of established centers in a highly fragmented market, geographic expansion, cross selling and expansion of new, higher-margin services, and greater center utilization. PRA Health Sciences, Inc. (PRAH) is one of the world's largest Contract Research Organizations (CROs) by revenue, providing clinical development services to the biotechnology and pharmaceutical industries. The company provides Phase I - IV services, as well as embedded and functional outsourcing services. As drug trials become increasingly complex, we think top-tier global CROs like PRA will benefit as biopharmaceutical companies trim vendor lists and establish stickier strategic relationships. The outsourcing trend is accelerating, driven by Big Pharma's need for a lower, more variable cost structure and lack of biotech infrastructure. With expertise in oncology, the central nervous system, inflammation, and infectious diseases, PRA has performed over 2,300 trials since 2000, and we think it is well-positioned to take share from smaller niche players. Ollie’s Bargain Outlet Holdings, Inc. In its annual update of Baron Small Cap Fund’s profile, Morningstar reaffirmed the Fund’s “Silver” Analyst Rating, citing Portfolio Manager Cliff Greenberg’s proven investment process over the 22 years he has managed the Fund and his instrumental role in the Firm’s success. To view the profile, visit www.morningstar.com. (Subscription required to access). The Morningstar Analyst Rating is not a credit or risk rating, but a subjective evaluation performed by the analysts of Morningstar, Inc. Morningstar evaluates funds based on five key pillars (process, performance, people, parent and price). Morningstar’s analysts use this valuation to identify funds they believe are more likely to outperform over the long term on a risk-adjusted basis. Analysts consider quantitative and qualitative factors and the weightings of each pillar may vary. The Analyst Rating reflects overall assessment and is overseen by Morningstar’s Analyst Rating Committee. The analyst rating scale is five-tiered, with three positive ratings (Gold, Silver, Bronze), a Neutral rating and a Negative rating, with Gold being the highest rating and Negative being the lowest rating. The Morningstar Analyst Ratings should not be used as the sole basis in evaluating a mutual fund and are based on Morningstar’s current expectations about future events. Morningstar does not represent ratings as a guarantee. Analyst Ratings involve unknown risks and uncertainties which may cause Morningstar’s expectations not to occur or to differ significantly. The Analyst Rating scale ranges from Gold to Negative, with Gold being the highest rating and Negative being the lowest rating. A fund with a “Gold” rating distinguishes itself across the five pillars and has garnered the analysts’ highest level of conviction. A fund with a ‘Silver’ rating has notable advantages across several, but perhaps not all, of the five pillars that give the analysts a high level of conviction. A “Bronze”-rated fund has advantages that outweigh the disadvantages across the five pillars, with sufficient level of analyst conviction to warrant a positive rating. A fund with a ‘Neutral’ rating isn’t seriously flawed across the five pillars, nor does it distinguish itself very positively. A “Negative” rated fund is flawed in at least one if not more pillars and is considered an inferior offering to its peers. Analyst Ratings are reevaluated at least every 14 months. 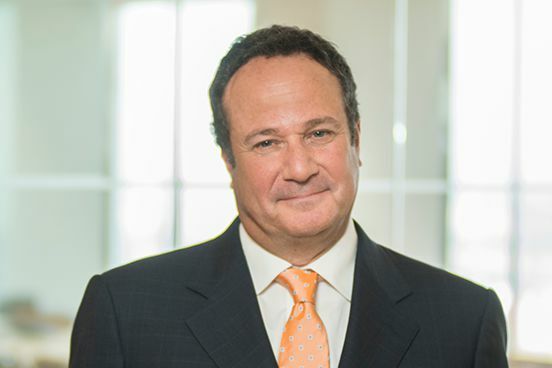 In the June / July 2018 issue of Morningstar magazine, Baron Small Cap Fund Portfolio Manager Cliff Greenberg discussed his investment approach, the evolution of his career, and life beyond business in the 'Ten Questions' spotlight column. Read the full article, "Baron's Cliff Greenberg on small-cap growth investing and a Grateful Dead cover band," at www.morningstar.com. We are pleased to announce that Baron Small Cap Fund has been awarded Morningstar Research’s “Silver” Analyst Rating.™ Fewer than 2% of funds in Morningstar’s U.S. mutual fund database earn “Silver” or “Gold” ratings. The Fund, managed by Cliff Greenberg since its September 30, 1997 inception, invests in small-sized U.S. companies with significant growth potential. We are pleased to announce that Neal Rosenberg, David Goldsmith, and Michael Baron have been appointed to the position of Assistant Portfolio Manager for Baron Growth Fund, Baron Small Cap Fund, and Baron Partners Fund, respectively. Neal, David, and Michael previously served as research analysts at the firm, and will continue to conduct equity research in their new roles. For more information, please contact us. RISKS: Specific risks associated with investing in smaller companies include that the securities may be thinly traded and more difficult to sell during market downturns. Even though the Fund is diversified, it may establish significant positions where the Adviser has the greatest conviction. This could increase volatility of the Fund's returns. Definitions (provided by BAMCO, Inc.): The indexes are unmanaged. The Russell 2000® Growth Index measures the performance of small-sized U.S. companies that are classified as growth and the S&P 500 Index of 500 widely held large-cap U.S. companies. The indexes and the Fund are with dividends, which positively impact the performance results. Russell Investment Group is the source and owner of the trademarks, service marks and copyrights related to the Russell Indexes. Russell is a trademark of Russell Investment Group. Index performance is not fund performance. Investors cannot invest directly in an index.